Are you aware that a simple backflow in a water system can be fatal to your health? During a hot daytime, a man is spraying chemical weed killer with arsenic compound by means of a garden hose attachment. Upon completion of his task, he removed the applicator and drank some water through the hose. Moments later, the man died due to arsenic poisoning. Why the man died is not really a big mystery but a mere case of water backflow. As the man was spraying the chemical containing arsenic, the water pressure suddenly went down. During this moment, the weed killer contained in the applicator was drawn into the hose. When he removed the applicator and sipped water through the hose, the water was already contaminated with the weed killer. He unintentionally killed himself. This is a very good example of backflow hazards. 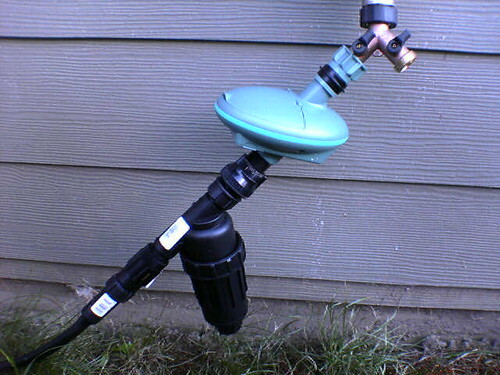 A backflow or back siphonage occurs when there is a backward flow of water in a water supply system. This backward flow commonly happens when firefighters fill their trucks with water during fires or when there is broken pipe on the main water line as water pressure drops on these instances. To protect your family against backflow dangers, you should avoid submerging hoses in tubs, sinks, pools, and buckets. As much as possible, guard hose end against potential contaminants. Also, never utilize spray attachments if your taps do not have backflow prevention devices. You can purchase these devices in most hardware shops and home-improvement stores. To ensure that they are properly installed, let professional plumbers set them up.